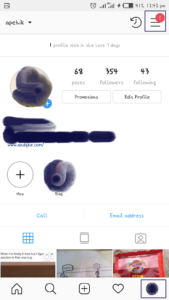 So many people have been looking for how to delete Instagram account and, on this post, we would be looking at how to delete Instagram account on different operating systems like Android, iOS, windows and also how to delete Instagram account on a web browser. 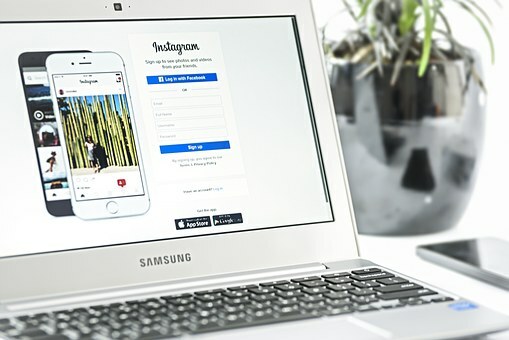 Instagram, as we all know, is a social media site that was recently acquired by Facebook Inc. and is very powerful in that you get to post both texts, pictures, and videos, get followers and also follow people. It is a nice place to network and find clients for your business and most importantly, sell and get your brand known by a lot of people. It is addictive, and many people have also found love on Instagram. Maybe you are tired of seeing the perfect versions of people online, tired of sharing pictures of how you are spending your day, or you just want to take a break and then, you are deciding to delete your Instagram account. 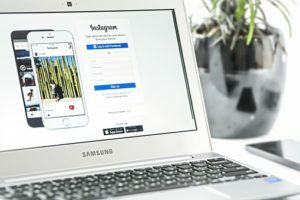 There are so many other reasons why you might want to delete your Instagram account which we are not going to look at in this post, but nevertheless, let’s dive into the business of the day. 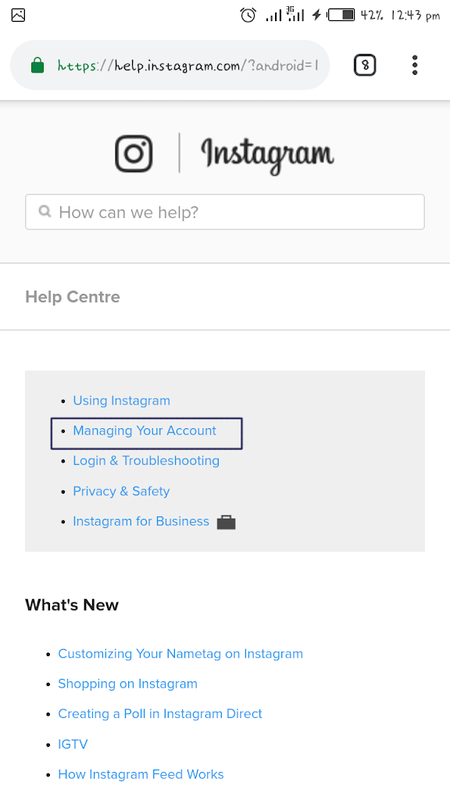 Step 3: once logged in, click on the profile icon located at the extreme bottom-right corner of the Instagram app. 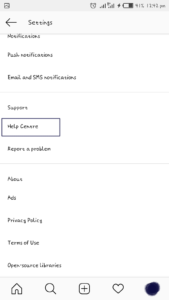 Step 4: click on the three lines at the extreme top-right corner of the screen that shows, and then click on the settings option at the foot of the navbar that appears. 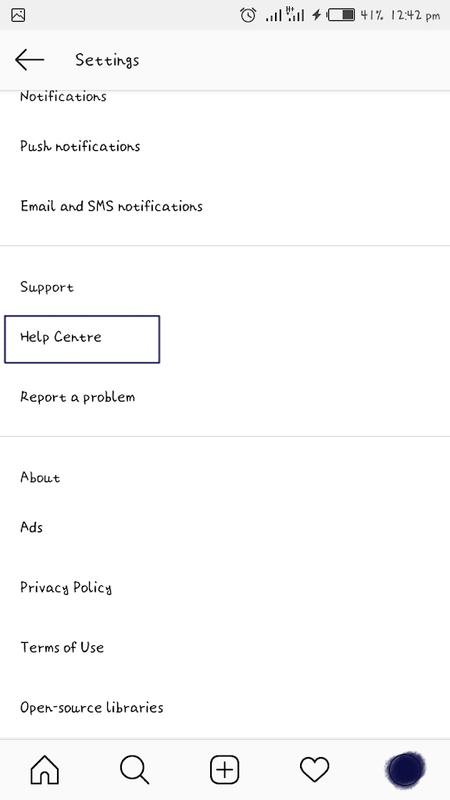 Step 5: scroll down the page that appears and then select the help centre option. 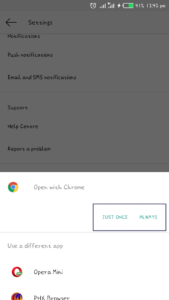 Step 6: once clicked, this will prompt your default browser to pop out, click on either Just once or always and it will open up a web page on the browser. 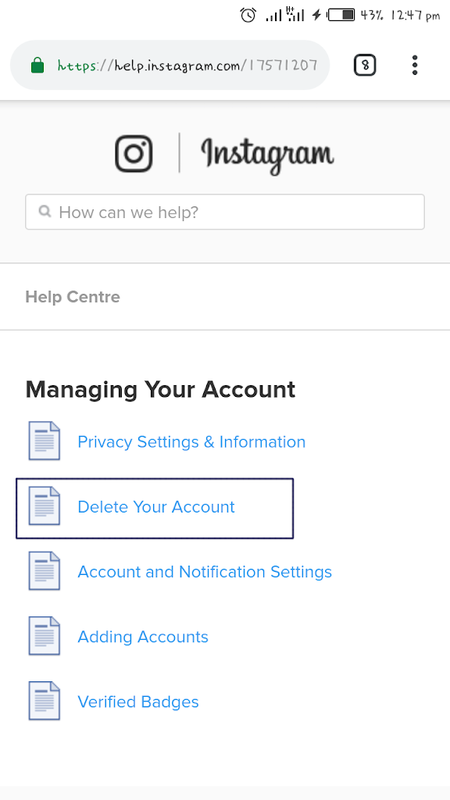 Step 7: Select the managing your account link. 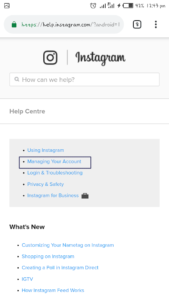 Step 10: click on the link as shown in the image below and you will be prompted to sign in to your Instagram account if you were not signed in before on the browser. 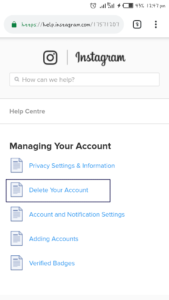 Step 11: then, you will have to select a reason why you want to delete Instagram account and verify your password. 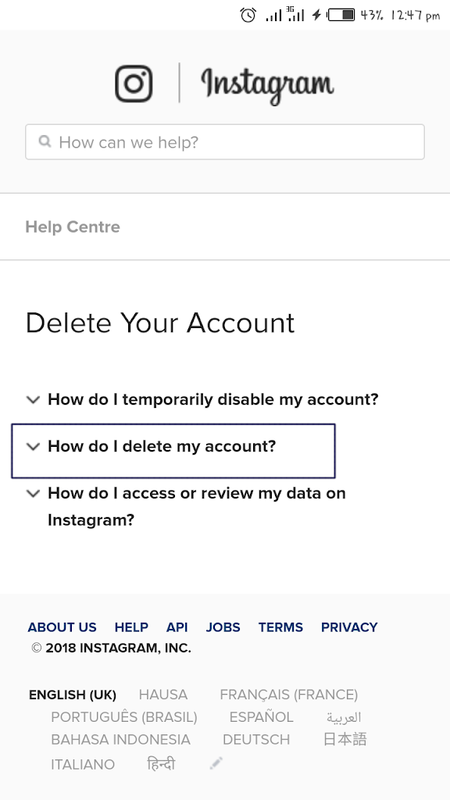 After deleting your Instagram account, you can now uninstall the application from your iPhone and be free from Instagram for the meantime! After deleting your Instagram account, you can now uninstall the application from your android phone and be free from Instagram for the meantime! 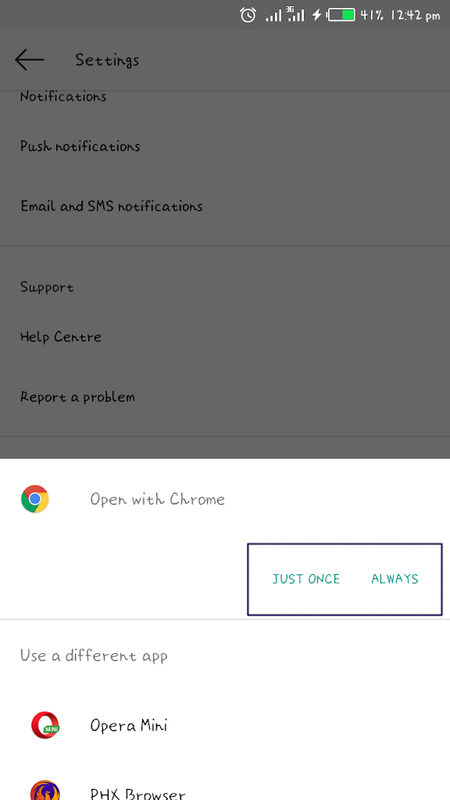 Step 1: In your web browser, type www.instagram.com and log in to your Instagram account. 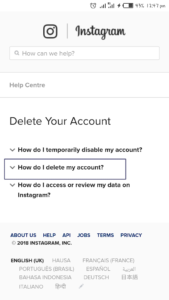 NB: If you delete your Instagram account, you will not be able to create another one with the same email, phone number or username again for life. 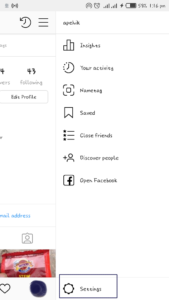 You will also lose all the followers you have spent the time to acquire and also, no one will be able to find you on Instagram. 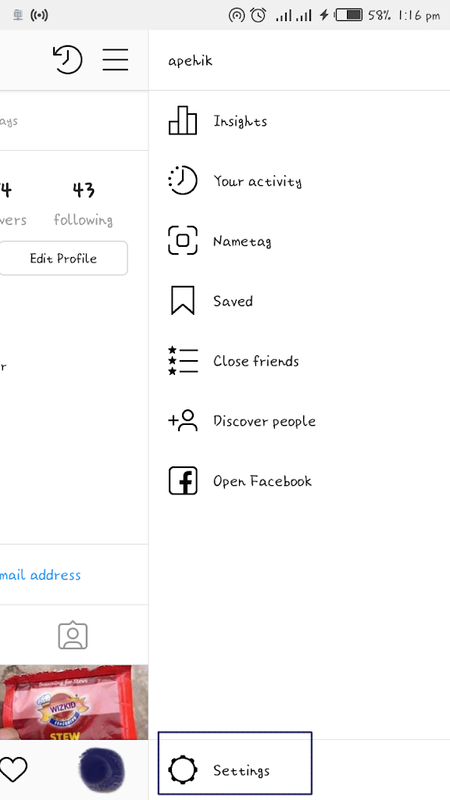 However, you can a new account with another phone number, email or username whenever you want to and continue enjoying the social media life on Instagram.